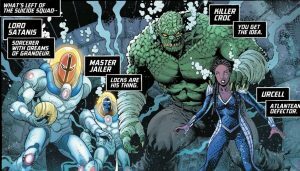 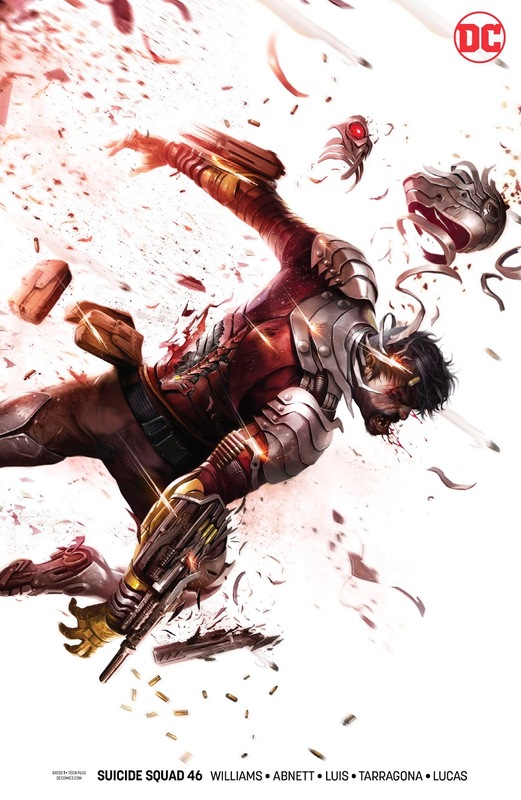 DC Comics Universe and Suicide Squad #46 Spoilers follows. 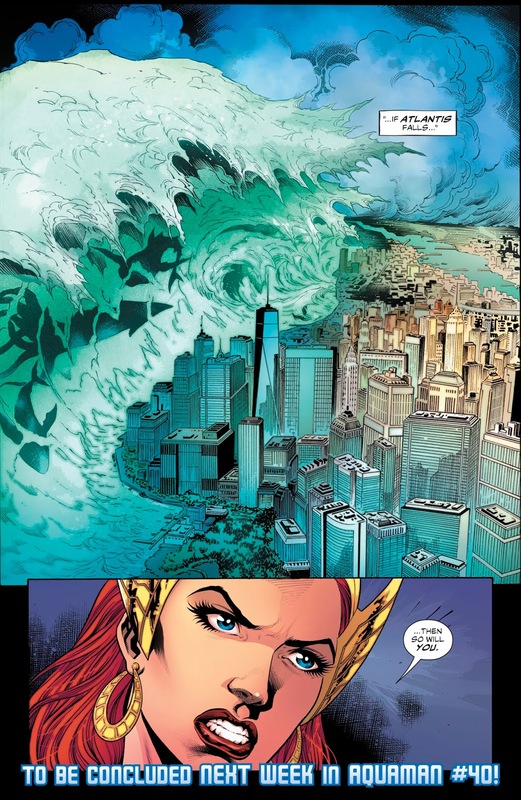 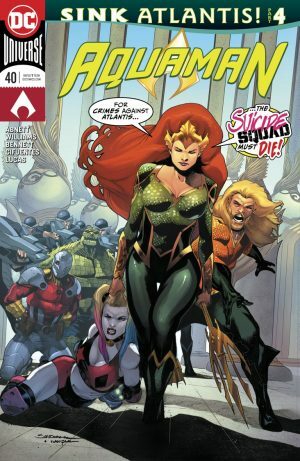 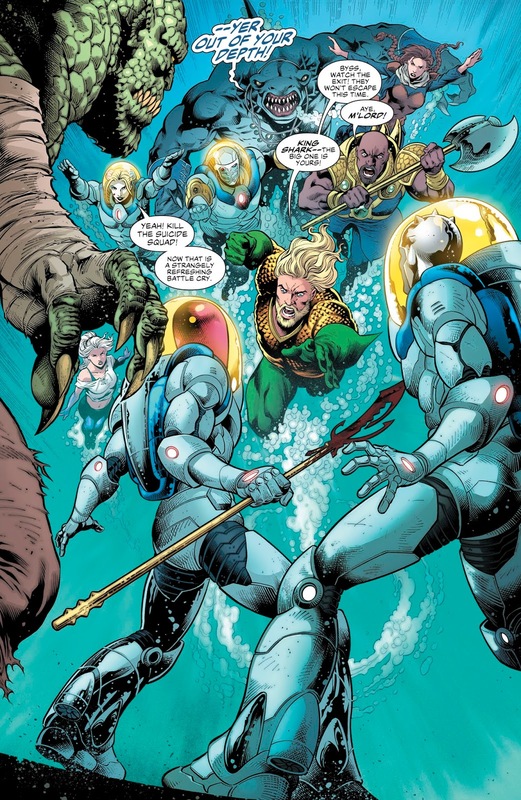 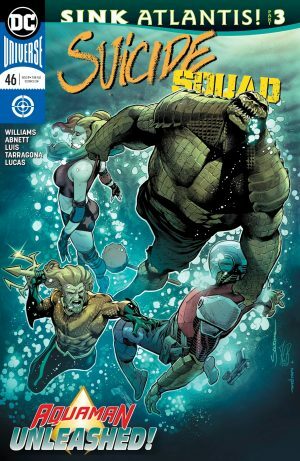 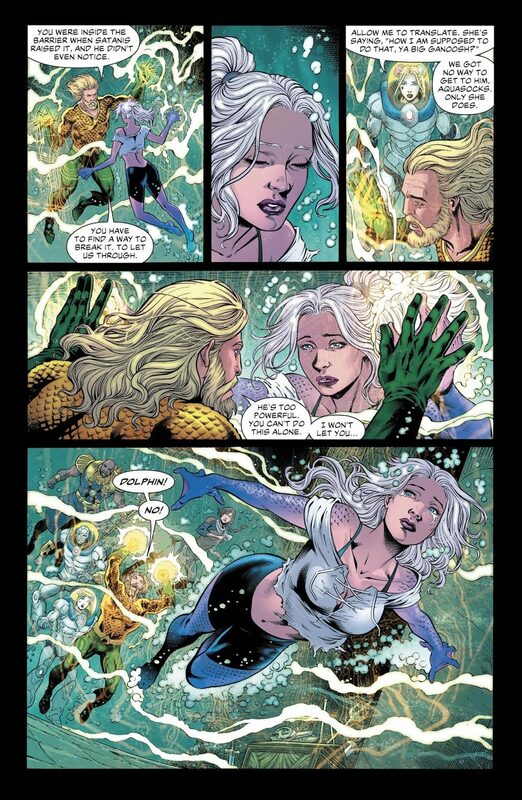 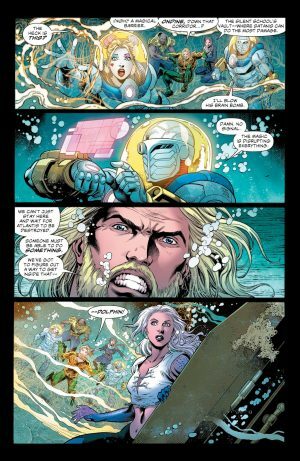 Sink Atlantis Part 3 Reveals Who Betrays The Team and Sides With Aquaman and His Own Suicide Squad Against The OG Task Force X! With Deadshot and Harley Quinn captured by Aquaman and Queen Mera’s forces, this is the rest of the Suicide Squad, who have a bomb to destroy Atlantis. 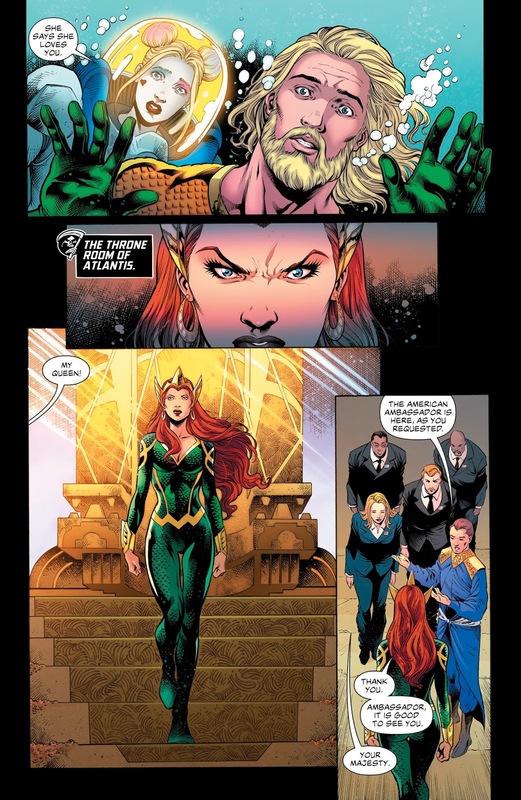 Lord Satantis turns on the team; he wants to denote the bomb to harness the magic of Atlantis and become even more powerful. 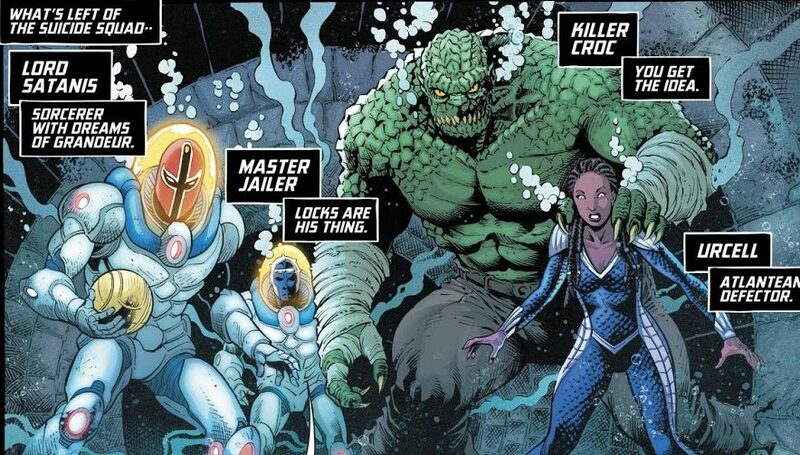 They are met by Aquaman’s Suicide Squad of sorts which include Deadshot and Harley Quinn! 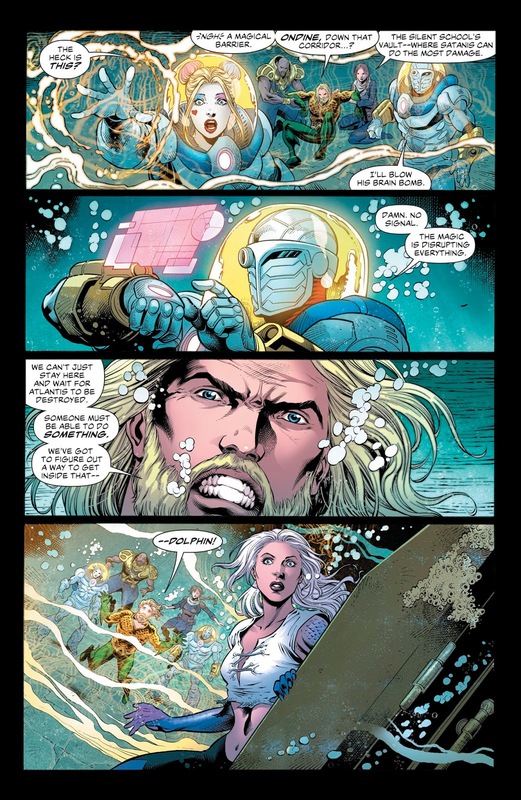 Satantis sequesters himself and the bomb to meet his ends, but Dolphin in behind his force field. 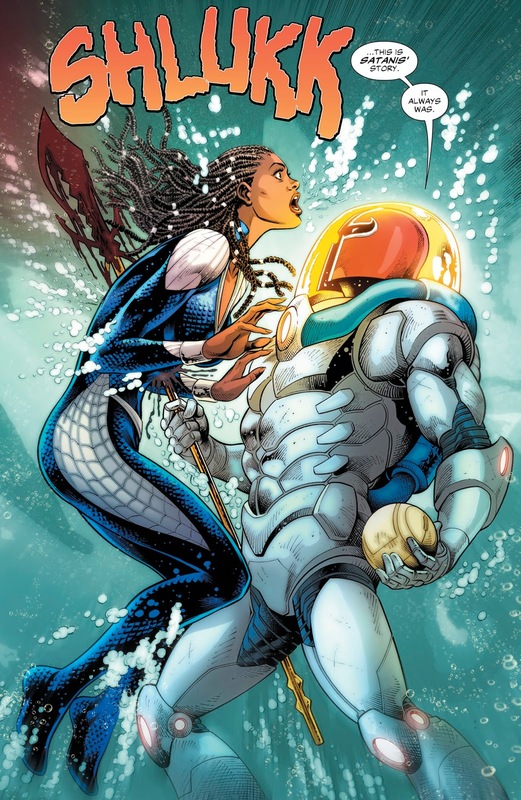 Next up is Sink Atlantis Part 4 in next week’s Aquaman #40.